These are the best stories Iâve ever heard in my LIFE!!!!!!!! ( Without this podcast I would NEVER be the same!!!!!!! ) How do they do these podcasts? By the best medicine you would ever know... laughter! I love Megan and Rachel! They are so funny!! Also please pick a story by Henry OâDell thatâs called Robs big secret! Thatâs all! Bye! They are the best! But where is Kyle? I need to know please please please! My girls look forward every Thursday to the new episodes! They watch the calendar and know when to ask me if itâs posted yet :) I look forward to them too, in all honesty. Safe for my kids to listen to, fun, creative...love it! Iâm Brynne and I looooove your podcast!!! â¤ï¸ thank you for choosing my story! WAS HE EATAN BY FANS!!!!???!!?!!!!???? I am 7 years old I listen to a lot of podcasts at night while I fall asleep. 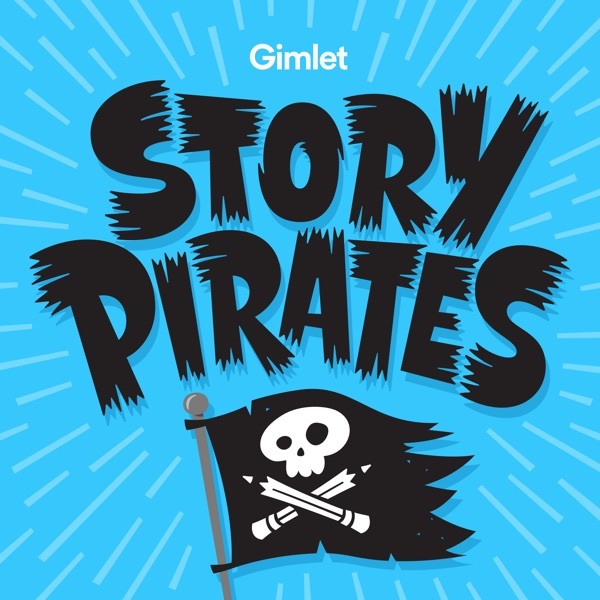 Story Pirates is my favorite! I like that there are 2 stories and that before and after the stories something funny happens. Your stories are the best! Hi my name is Jadiel I love the mix up with wow in the world the are awesome to. I listen to you guys at night and day!!!!!!! This podcast is number 1! I am Marie I am 8 years old. I listen to this every night!!! And Iâm almost twelve so yeah all ages.